As a blogger and someone who loves to read, I am lucky to have many opportunities to review books. This week I am focusing on several of the books that have been sent to me over the past few months for review. 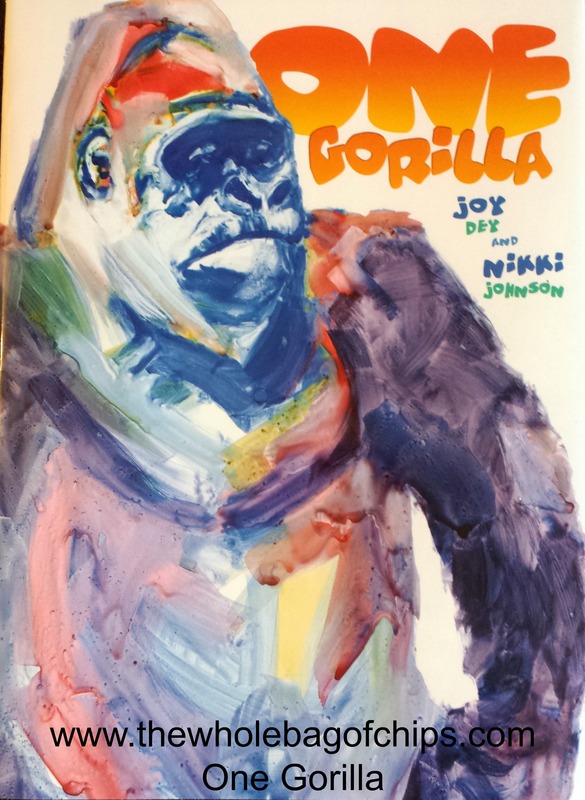 The first book I’ve chosen to review is “One Gorilla,” written by Joy Dey and illustrated by artist Nikki Johnson. This is a beautiful story with amazing artwork to accompany it. When my daughters first saw the artwork on the cover, they commented that it reminded them of author and artist Eric Carle’s work, and I agreed with them. It’s stunning. However, it’s not just the artwork that makes this book. It is the storyline and the message for children that is embedded throughout. My kids were intrigued by the fact that the colorful letters on each page spelled out a word each time. I know as a parent, that oftentimes the drama of social interactions at school and in other similar arenas can be stressful as kids try to work things out and get along, and mediate the interactions of their peers as well. There are many times when our kids need to make good choices, and they need to know what those choices should be. This book provides a perfect jump start for kicking off some of those conversations. We often try to encourage our children to be that one person who can make the difference, and “One Gorilla” drives that message home as the gorilla has an opportunity to make a better choice and make a big difference for the jungle. 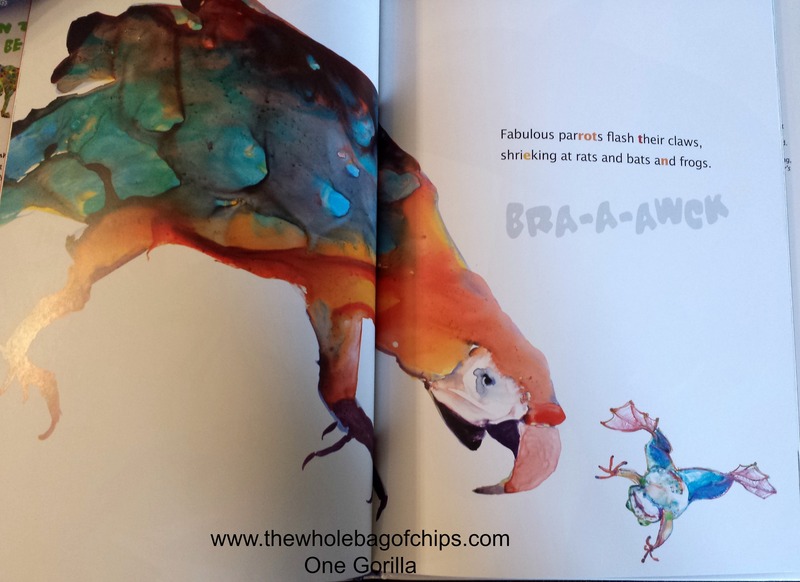 You can find out more about “One Gorilla” and SWAK (Sit With A Kid) Publishing at SitWithAKid.com, as well as on Facebook, Twitter and the Sitwithakid.com blog. SWAK Publishing can be reached at 877-370-6102. The book is available for purchase for $17.95. To purchase the book, contact Partners Book Distributing, Ingram and Baker & Taylor. For more information contact Partners Publishers Group 800-336-3137.